We add a New FREE Pattern every week. Enter your email address to be notified whenever we have a new free pattern. Using big, bold prints and fun tulle tutus, this quilt is just too, too cute! 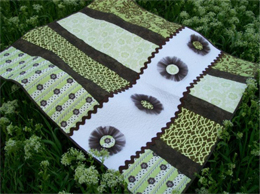 Dive into this wonderful Spring quilt project from Kristin Roylance of Cute Quilt Patterns. The approximate finished size is 41 1/2" x 48 1/2". 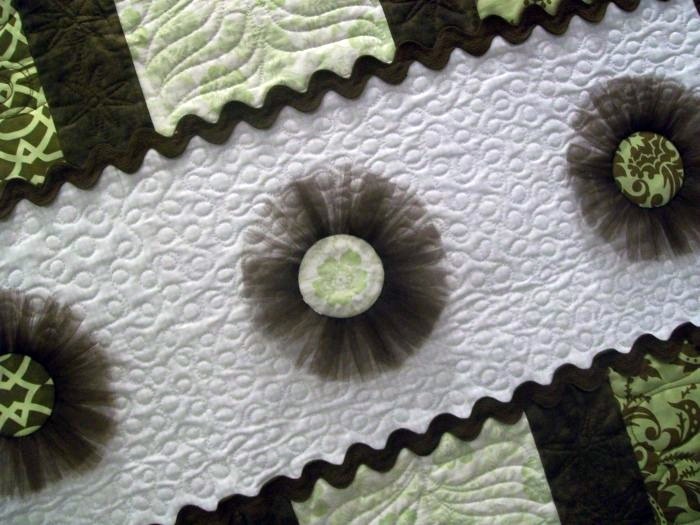 Kristin has been designing quilt patterns since 2006. She especially enjoys creating baby quilt patterns and table runners. 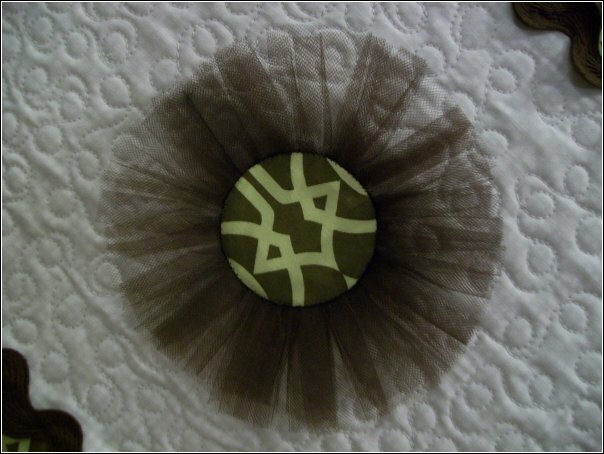 With five kids of her own, Kristin finds it a challenge to find time to design new patterns. 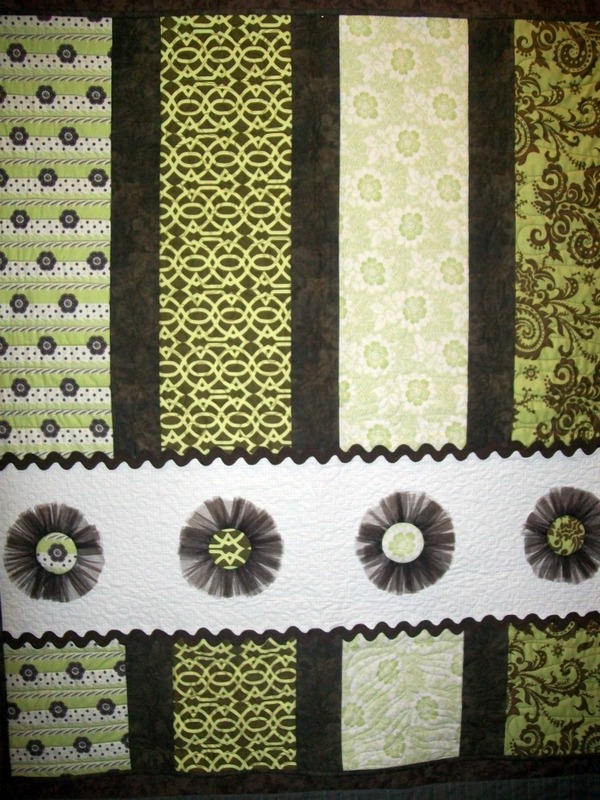 However, her family interests and quilting interests come together when she works on her baby quilt patterns. 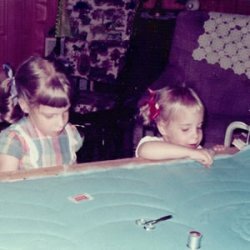 I had a very talented Grandmother, who instilled the love of quilting in me. As a child I always loved to wrap myself up in one of her quilts. When I became a Mom, I wanted that for my children, as well. My very favorite pattern is most likely the one I'm working on...I love, love, love to create new quilts! I love to spend time with my children, try out new recipes, and cuddle with babies...basically anything but laundry or dishes. What is your favorite quilt-related memory? I remember quilting with my Grandmother. She would let me quilt on her beautiful fabric, with thimbles and bandaids in hand. I eventually realized that she had to lovingly unpick each one of my uneven stitches. 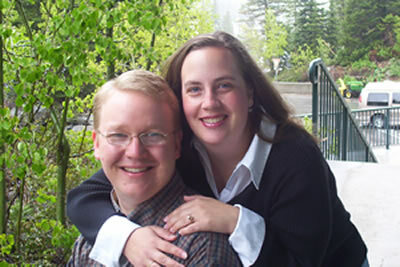 I am married to my best friend. I am a Mom to five adorable and energetic children. I have come to realize that the main reason my kids are so FAST, is that if they stood still long enough, they just might risk the possibility of being quilted!